So, you have come to the decision that you want to get fit. Joining your local gym might be a bit intimidating with all the equipment and not knowing where to start. From there you have two choices: learn as much as you can or hire a personal trainer. Here are the pros and cons of each. A personal trainer will provide you with a customized workout regime to meet your fitness goals whether it is to lose fat, build muscle, build muscle and lose fat at the same time, or train for a particular sport. This in itself is a huge benefit if you do not have the patience to design your own workout programme. Hiring a personal trainer can be very expensive. You can end up paying five times the average gym fee rate so you have to be willing to make a financial committment if you are not that well off by saving and making sacrifices. It is almost a guarantee you will see results faster with a competent personal trainer. He/she will not allow you to slack off and ensure that your routines are always fresh and challenging by changing it up every few weeks so things will not get boring. If you are not good at taking criticism and being interrogated regarding your diet then hiring a personal trainer is not a good idea. They will tell you what you should eat and what you shouldn’t and you will be scrutinzied for your exercise technique and lifestyle practices. This is all to ensure that you are on the right track to meeting your fitness goals. You can learn a lot from hiring a personal trainer. Their job is to educate you on all the exercises as well as your nutrition. They will clear up misconceptions you have so that you bcome a very capable and knowledgeable client. You personal trainer will provide you with much needed motivation. They will keep track of your progress and encourage you to work towards your goal. They will usually have self assessment tests every few weeks for accountability. If you can afford it then hiring a personal trainer would be the best thing to do. Nevertheless, if you cannot afford it this is no excuse for not achieving your fitness goal. If you really want to get in shape you must make it your responsibility to properly educate yourself on what you need to know. You can do it on your own! How to Increase Muscle Mass with Strength Training Exercises! Top 10 Physical Activities To Make You Feel Damn Good! Diet Tips to Build Muscle and Take Advantage of Your Training! Indeed, the services of a personal trainer are very expensive, but they really worth the money. After I followed a personal training program in Oshawa, I also lost weight and got in shape fast. 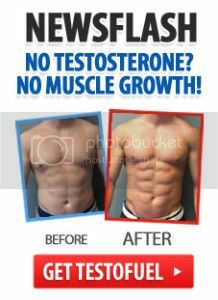 I achieved these great results because my trainer was very skilled and experienced. I’m so happy with my new body now!